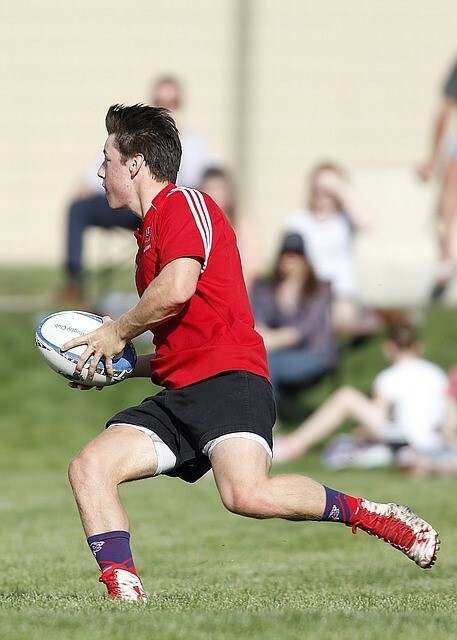 Learn the basic rules of rugby for a fun, fast-paced game that has some similarities to football. Add a little rugby equipment and a rugby ball, and you've got all you need for an exciting game that will give your kids a great workout! As you look through these basic rugby rules, you're going to see some terms that may seem strange and funny to you because rugby has a vocabulary all its own. I mean, where else but on a rugby pitch will you find yourself in the middle of a scrum, a ruck or a maul? But, no worries! 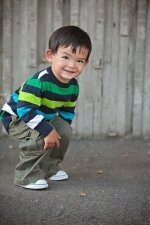 With just a little help you'll be speaking Rugby in no time! A lot of kids haven't ever seen a rugby game played before. Let me tell you, it's a very unique and crazy-looking sport! If the game sounds a little too rough for you, don't worry. There are plenty of ways you can modify the rules of rugby to make it a little safer and more appropriate for your situation. Rugby is a game played by two teams with 15 players each who try to earn points by getting the ball across the opponent's goal line or kicking it over the crossbar between the goalposts. It's a very fast-moving game with very few stops in the action and continuous change of possession. Every player on the field has to be able to play offense and defense because they may all have opportunities to run, pass, kick, and catch the ball as well as defend and tackle opponents. 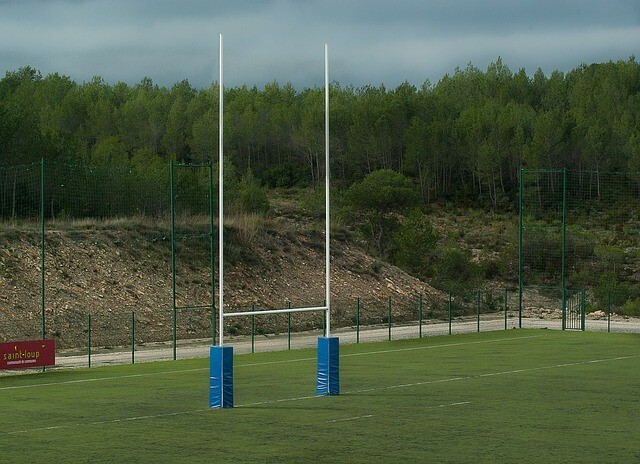 Rugby is played on a field called a "pitch" that's about the size of a soccer field. A standard pitch measures 110 yards long by 75 yards wide. There is an end zone at each end beyond the goal line that's 25 yards deep. A crossbar with upright goalposts is located in the center of each team's goal line. It's about the same size as those used in American football. 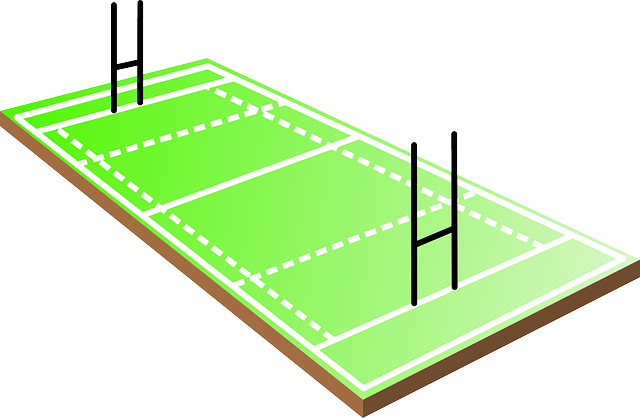 Check out this rugby field diagram if you'd like to see more specific rugby field dimensions and how the pitch is marked. 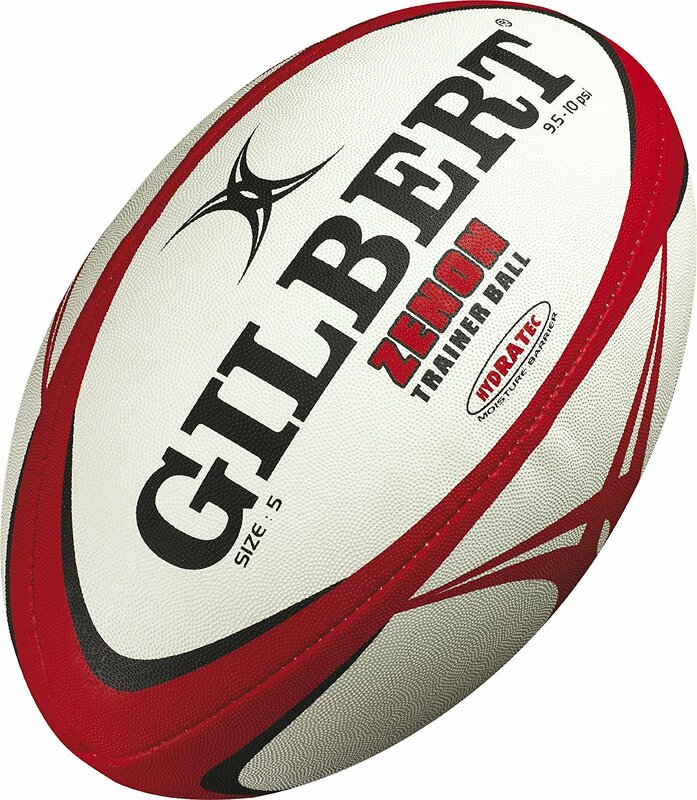 The only piece of equipment you really need to play rugby is a rugby ball, which looks like a fat football with rounded ends. It's made of leather or synthetic material that's easy to grip. Unlike a football, a rugby ball doesn’t have any laces.